Style Vendome(FR)[2010C. 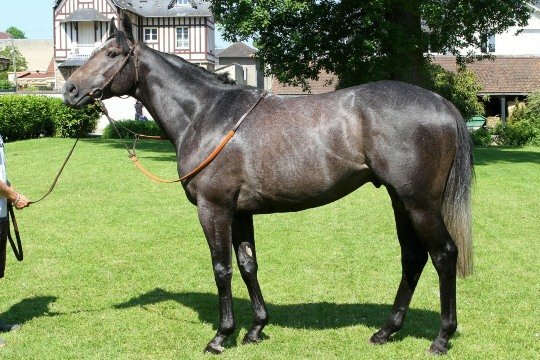 Anabaa(USA) x Place Vendome(FR) by Dr Fong(USA)]: to stand at Haras de Bouquetot in Normandy, France. He's got some interesting coloring. How pretty. Nice looking horse. I know we lost Anabaa in 2009, sadly, after only a few seasons at stud. Goldikova clearly showed how good a stallion he was destined to be, but maybe Style Vendome can continue his sire's bloodline. BaroqueAgain1 wrote: Nice looking horse. I know we lost Anabaa in 2009, sadly, after only a few seasons at stud. Goldikova clearly showed how good a stallion he was destined to be, but maybe Style Vendome can continue his sire's bloodline. 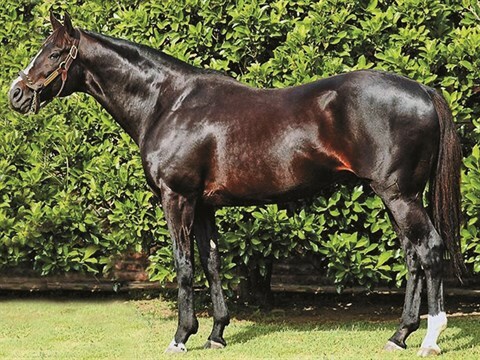 He left 13 Northern Hemisphere crops, having entered stud in 1997. Not sure how many years he shuttled and to where. His son Anabaa Blue sired Spirit One, who won the Arlington Million. I wonder what ever became of him. Looks like a new one of Jump Start? 13 crops? 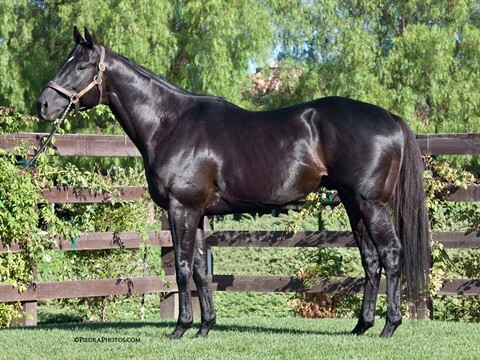 Oops...I got the wrong impression from a couple of the Bloodhorse articles that I pulled up from a Search on Anabaa...saw articles about him standing in 2006 but, after reading further, I see that was just about him changing farms. Lesson? Read further than a headline when searching for info. mariasmon wrote: Looks like a new one of Jump Start? He looks raw by his hind leg and also his front leg, noticing they are very red but it may just be the lighting and his coloring. Personal Ensign wrote: it may just be the lighting and his coloring. Spirit One is at stud at Haras De Lonray in France. Don't expect a lot from that webpage, its kind of sad. His first foals are 3yos, he has sired G3SW/G2p Eleuthera and two G3Sp fillies from not very many to race. Looks like there's a lot to like about him. mariasmon wrote: Looks like there's a lot to like about him. Americain is good looking (and very tall). Savoy Stomp, the top-priced colt at the F-T Saratoga sale. Stunning. He doesn't look a little long in the barrel to you? BaroqueAgain1 wrote: He doesn't look a little long in the barrel to you? Looks like a two-turn colt I'd like to be learning the game down in Ocala right now. Can't remember whether or not this was posted before the forum crashed. Nice looking, and one heckuva pedigree...full to Sweet Catomine and Life Is Sweet. Not sure if these were posted on the old thread. Looks like Freedom Child got his portrait taken shortly after he left the track...still has that greyhound-lean look about him. And he and El Padrino really have shiny copper-coin colored coats. El Padrino's pinfire scars are very noticeable. Do you think that will turn off any potential breeders? Also, is it just the way the light is hitting the white stocking on his right rear leg, or does that leg look very lumpy? Bowed?